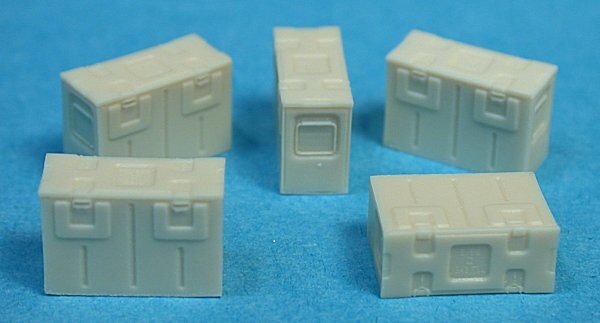 Canadian company Ultracast has been quietly beavering away over the last 15 years making high-quality figures and accessories for military and aircraft modellers with a particular commitment to Commonwealth WWII subjects. Their latest batch of five releases fall square into this category. 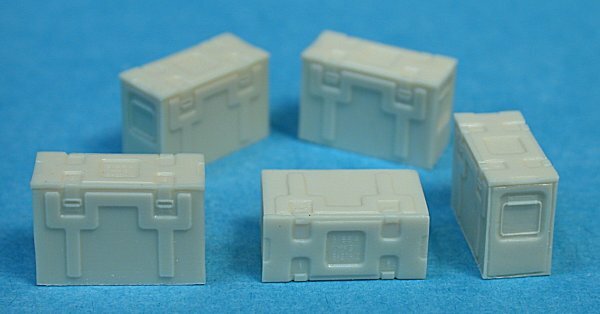 These ammunition boxes will carry a wide range of ordnance and will suit either vehicles or dioramas. 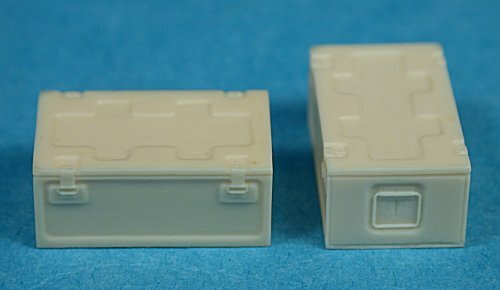 The Steel Munition Boxes C.224 Mk.1 set includes two boxes, while the other four sets include five boxes each. Each box is attached to its casting block via a thin resin strip. This will be easy and fast to clean up using a new hobby blade. All of these boxes saw their origins in the Second World War but many will still be valid for the post-war and Korean War eras. 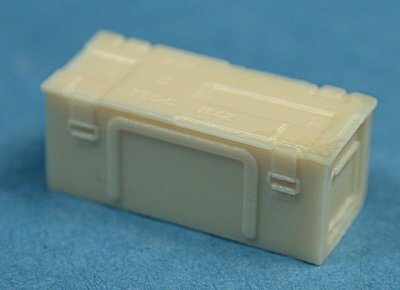 Indeed, the B166 Mk III box was dated 1945, so will be most relevant from the late-war period onward. 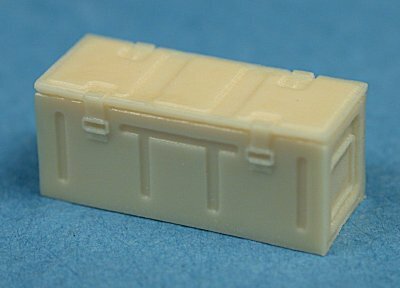 The parts have been mastered with research based on original ammunition boxes, and they do look very authentic.